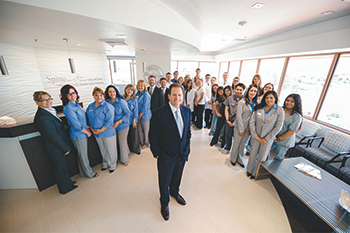 SpineNevada Minimally Invasive Spine Institute is a multi-disciplinary spine center of excellence located in northern Nevada with locations in Reno, Sparks and Carson City. SpineNevada's Reno and Sparks locations are integrated spine care centers that combines non-surgical physical medicine physicians, fellowship-trained specialists in pain medicine and radiology, fellowship-trained spine neurosurgeons, and internal physical therapy gyms. SpineNevada’s Sparks office includes InMotion Diagnostics. The spine diagnostics and radiology center offers the most advanced spinal imaging platform in the nation to assess instability through spinal motion. 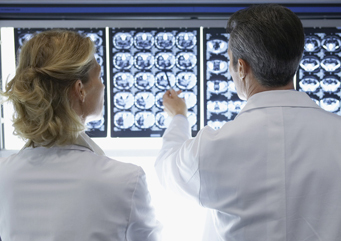 InMotion Diagnostics line of advanced radiology services includes the InMotion MRI, Vertebral Motion Analysis (VMA) and Digital X-rays. In contrast to traditional open back surgery that requires a large incision causing more damage to muscles and tissues, minimally invasive spine surgery has become the leading way to treat spine problems. Minimally invasive spine surgery also lessens the hospital stay, (many procedures can be performed as day surgery or 23 hour stay), reduces pain, results in less operative blood loss, allows for faster return to work and activities, and reduces the risk of infection than with traditional open back surgery. 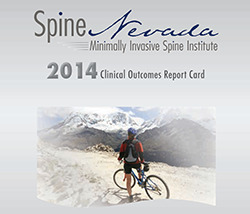 SpineNevada is the only neurosurgery led comprehensive spine center in Nevada. If spine surgery is necessary, it's important to choose an experienced spine surgeon, Dr. James Lynch performs a large volume of spine surgeries per year in both hospital and outpatient center settings. Dr. Lynch has been performing minimally invasive spine surgery techniques since 2002. He was the first neurosurgeon in Reno to perform MIS TLIF and MAS PLIF procedures as well as the first to perform both cervical and lumbar artificial disc replacements. He is a national leader in out-patient spine surgery. Dr. Edward Perry specializes in all aspects of spine surgery, including minimally invasive spine techniques, adult degenerative conditions, congenital deformities, spine trauma, spine tumors and deformity correction, including anterior, lateral and posterior spinal approaches. Patient satisfaction results using the most accurate survey method possible. A phone survey is used to audit patient satisfaction — the most accurate survey method possible. That’s because mail surveys have an inherent sampling bias based on those who take the time to respond. Three months after the first visit an outside RN (not affiliated or employed by the center) calls a random sample of patients at home. The nurse then interviews patients on their satisfaction with the doctor seen, the time the doctor spends with the patient, the medical explanation provided, etc. 89% of the patients studied are VERY or SOMEWHAT satisfied with doc's explanation. 89% of the patients studied are VERY or SOMEWHAT satisfied with the time the doctor spent. 88% of the patients studied are VERY or SOMEWHAT satisfied with GENUINE CONCERN. 91% of the patients studied in this sample said they would recommend SpineNevada to a friend. 91% of the patients studied are VERY or SOMEWHAT satisfied with the FRONT OFFICE STAFF. 88% of the patients studied are VERY or SOMEWHAT satisfied with OVERALL CARE PROVIDED. 89% of the patients studied are VERY or SOMEWHAT satisfied with the APPOINTMENT PROCESS.